Fate doesn’t make a hero -- you must grab your blade and become one yourself! 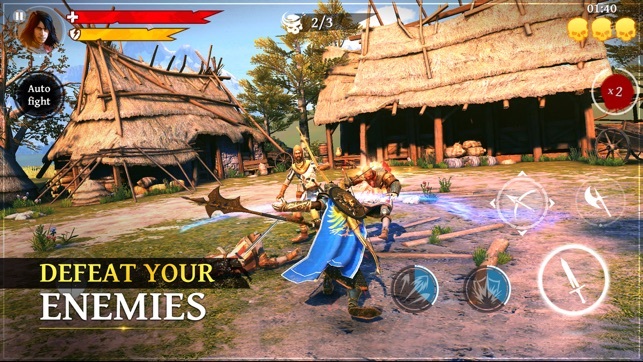 Forge your destiny in Iron Blade; a thrilling action RPG set in a medieval Europe filled with monsters and magic. Explore a world brought to life with console-quality graphics as the innovative -- yet easy-to-learn -- combat system throws you into one heart-pounding battle after another! Collect amazing weapons, explore breathtaking real-world locations and test your skills against millions of other players, as you build your own domain and engage in exciting PvP challenges. - A demonic army approaches! Soon, they will devour all of humanity unless you can fulfill the prophecy and seal them away for good. - Unravel a plot full of intrigue and bitter betrayal as you fight through the challenging story missions. - Explore a world rich in lore and set in a fantastic alternate-reality Europe, full of legendary warriors and arcane mysteries. 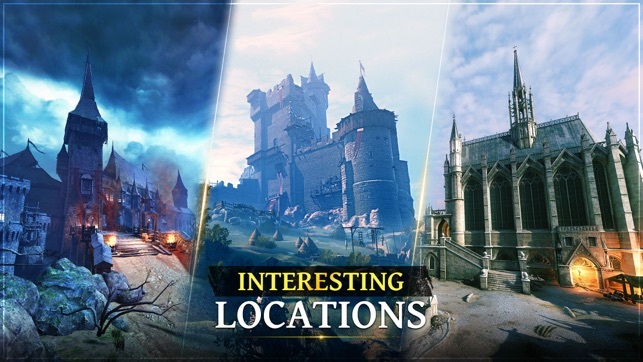 - Your adventure will take you through many awe-inspiring locations, from fighting off demon knights in Notre Dame to banishing vampires in Transylvania. 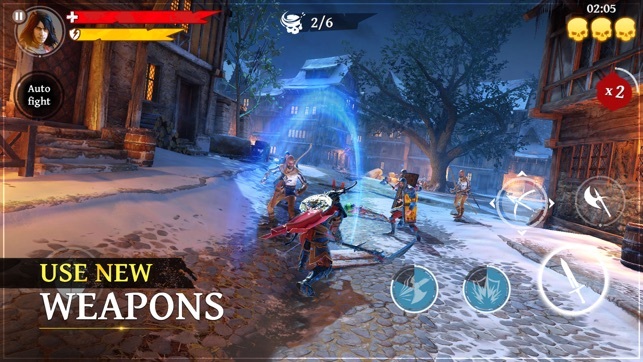 - Everyone can enjoy the deep and thrilling combat controls, which were specially designed for mobile and allow you to smoothly perform amazing chains of attacks against numerous enemies. 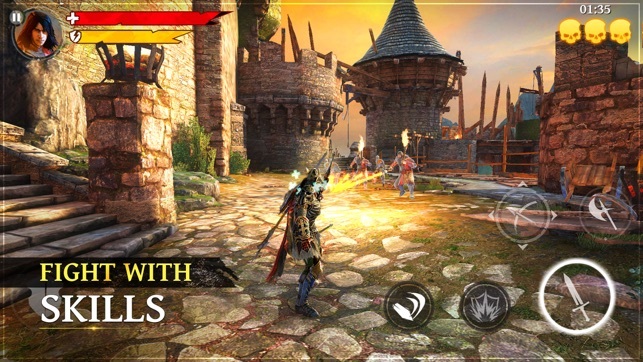 - Develop your own fighting style by linking up taps and swipes to perform monster-crushing combos. - Face a fearsome variety of foes from vampires to undead soldiers, each brought to life with amazing graphics, animations and combat abilities. - Unleash deadly special attacks and finishing moves that deliver a grisly end to any who dare challenge you. - Collect a massive selection of weapons and armor along your adventure. 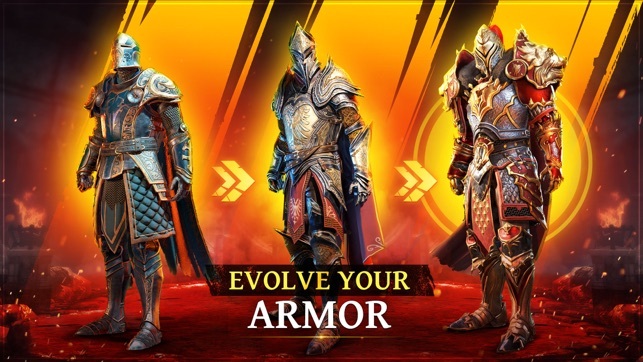 - Upgrade your gear to customize your combat strengths and style. 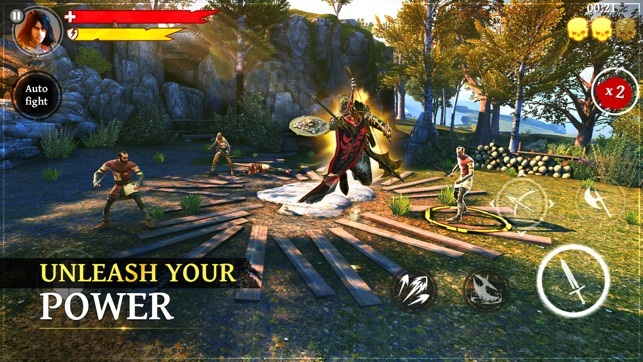 - Unleash devastating spells and skills on your foes. - Establish your own domain that you can fortify with a castle. - Acquire and upgrade castle defenders to protect your domain and its resources while you’re away. - Raid other players’ castles to crush their defenses and loot their most valuable resources for yourself! Especially the level mechanic.. there’s been quite a few times in the boss challenges or fortress attacks where it’s says easy with the armor and weapons I currently have equipped only to die in seconds by the boss. Ex. There are 4 difficulties... with the current weapons and armor it says easy on extreme... yet I went in there and died in seconds... the enemies and boss take away too much stamina and kill me easily... when it says easy it should be easy for me not for the enemies.. it shouldn’t say easy at all. I wasted 75 energy trying to beat extreme because it says easy on it. I died EASILY all three times. 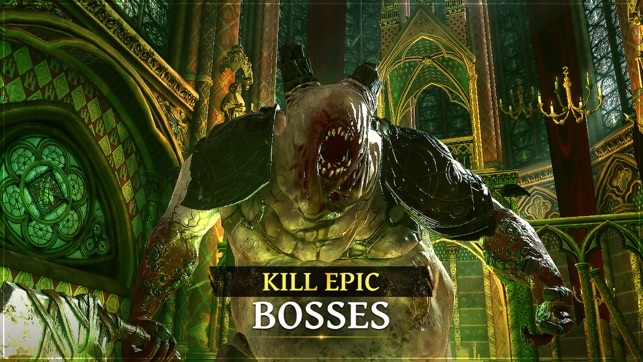 Also enemies shouldn’t take so much stamina.. they shouldn’t take too little otherwise your just invincible... but boss’s shouldn’t be taking nearly half your stamina in one hit on the higher difficulties. I’m aware that your still working on it...I mean this game has been out for what a year already... so I understand that there will be a lot of things not in place yet.. but I think the level mechanic and the stamina mechanic need working. But overall it’s a pretty decent game. The story is good so far too can’t wait for that to continue. Like I said I enjoyed the game briefly but didn't get into the game enough to over come my frustrations with a game mechanic. It has to do with blocking attacks. First off I'll say I love the way this is set up,I think it's the best set up I've seen. The problem I had was it takes stamina to block and as the game progresses and enemies become stronger and more numerous you easily burn through your stamina way before the end of a fight. Attacking an enemy first will interrupt their attack so when out of stamina I would switch between the attackers attacking them first but this mechanic is not as polished as the blocking mechanic. There may be a different way to approach this, if so it wasn't obvious nor included in the tutorial at the time I played. Loved the game until I hit this draw back on what's otherwise a polished mechanic and then at that point I just wasn't invested enough to start working towards figuring this out and working around it as I felt it became a large problem with game play to quickly and would hinder me significantly the rest of the game. Lastly, investing money will definitely make it easier but its not necessary to enjoy the game. Fix the chat bot issue! Google “Iron Blade Chat Bot” and see how this has been an ongoing issue for a long time. See the responses from Gameloft on their own forums promising for months on end that they are fixing it. Launch the game and go to the chat just to realize that it’s useless cause all the chat bots. And that’s just the chat. Also take note of the myriad of pop up ads including their own pop up ads for in game purchases. Notice where the buy button is located at in comparison to the main buttons on the previous screen. It’s almost as if they are trying to trick you into accidentally purchasing in game content. Many many glitches, game crashes and freeze ups. Not even the ads will play properly most times. The ad starts to play the video then gets stuck. Then when you tap the ad to close it, instead you get whisked away to the ad’s website. Seriously, is this the way you guys are generating ad revenue with false forced raffia to your advertisers websites? All problems get the canned response to contact customer support. How about no! How about I just give you the review you deserve and just delete this garbage. Gameloft should be ashamed of itself.